The Hawaii Public Health Association is an affiliate of the American Public Health Association. The Affiliate Representative to the Governing Council (ARGC) is HPHA member, Hali Robinett. The 2018 theme will be "Creating the Healthiest Nation: Health Equity Now"
On Nov. 6, 435 U.S. representatives and 35 U.S. senators are up for election. 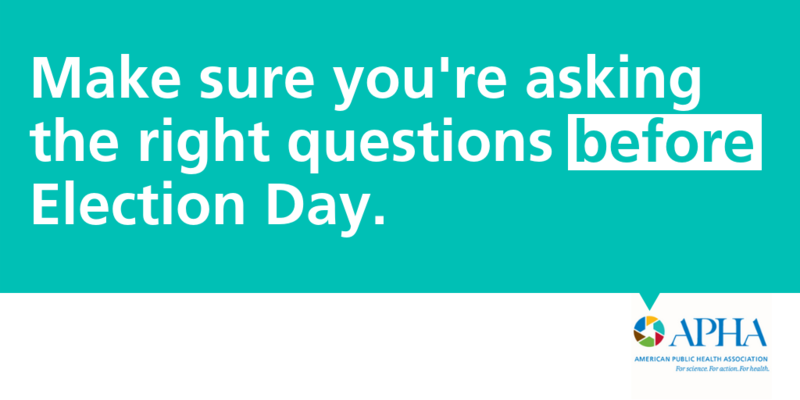 As you consider your options at the polls ask your candidates these questions to find out where they stand on critical public health issues (PDF). We need champions in Washington, D.C., who will support evidence-based policies that prioritize the public’s health. 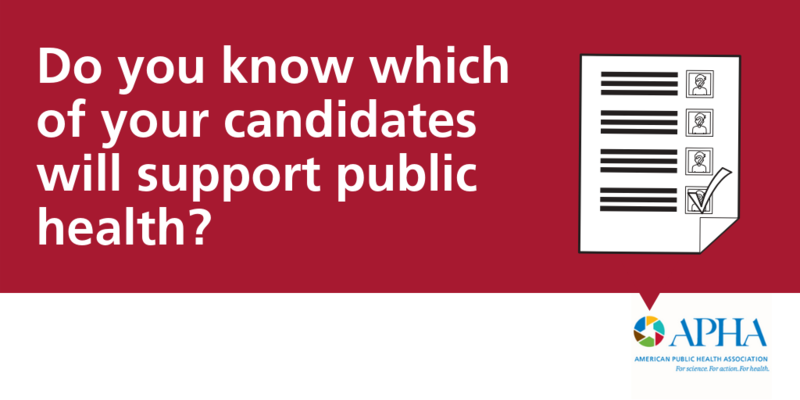 Let’s ask the right questions to make sure we know where our candidates stand on these important public health issues. 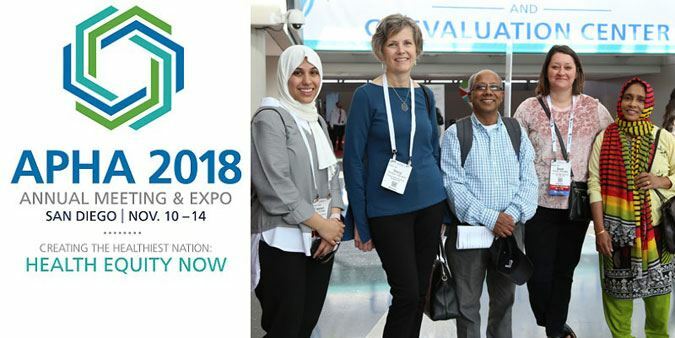 Join APHA members, Affiliates and other advocates in educating members of Congress on important public health issues that help build and maintain healthy communities. Reach out to your congressional leaders to express support for protecting critical funding for public health agencies and the Prevention and Public Health Fund, addressing the health impacts of climate change and protecting the Affordable Care Act. When we all raise our voices together, our leaders in Congress are more likely to listen! The American Journal of Public Health is a monthly peer-reviewed public health journal published by the American Public Health Association covering health policy and public health. Current and past issues and articles can be found HERE.